This week has been a crazy week. A lot has been going on and I haven’t been as good about posting good deals. I’m hoping after tomorrow when the weekend starts I can start getting organized, clean the family room, office, and of course laundry. I’m really behind on laundry and haven’t been doing my routine. Honestly, working full-time is tough because I’m always behind. In the evenings after my daughter goes to bed, all I want to do is the essentials and go to bed. I’m exhausted! This weekend I plan on cleaning up and going to the grocery store might go to Bottom Dollar to use my $10 off a $40 purchase. Check out what my hubby got at Giant yesterday? 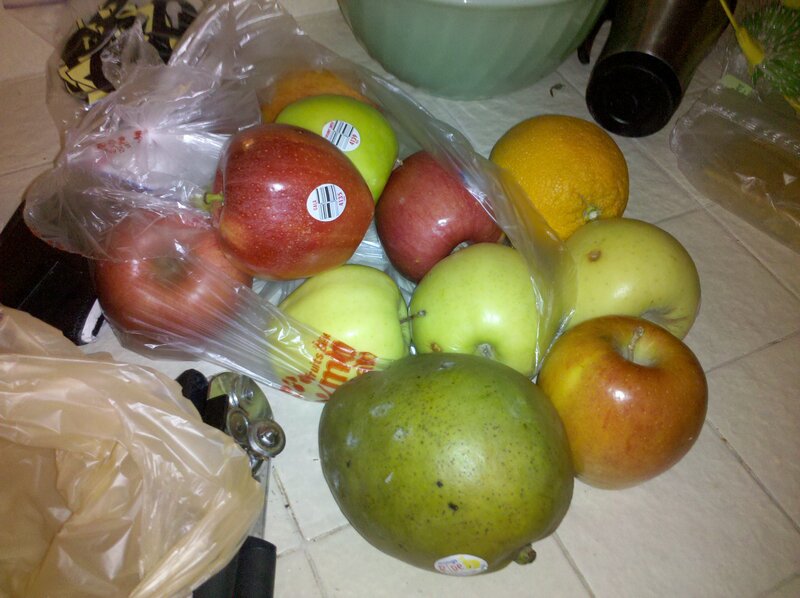 A bag of fruit including apples, mango and orange and guess what he paid? $1 That’s right! 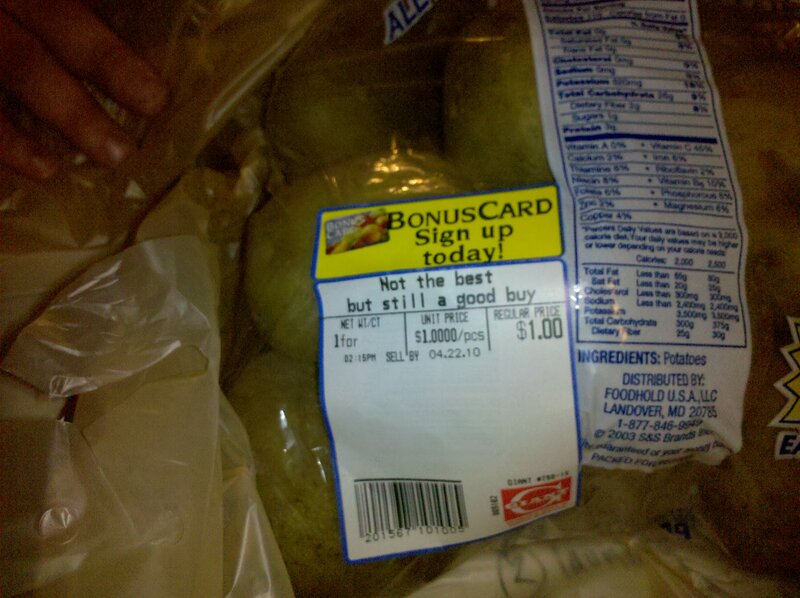 In addition, he got several bags of potatoes for $1 each. We just had some mashed potatoes. Yummy! Love my frugal hubby. He found these on a stand near the produce and they said “Not the best but still a good buy”.